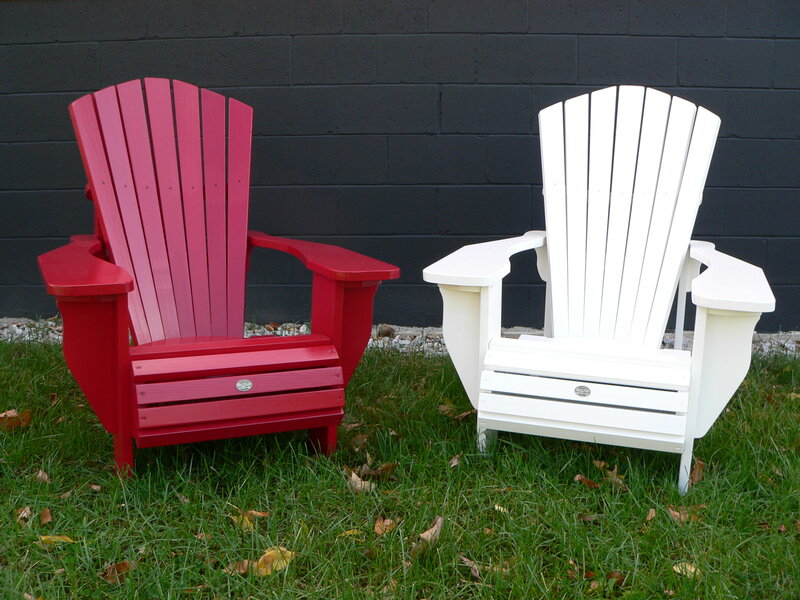 Protect your exterior furniture – the naturally perfect way. Nothing brings your deck to life like beautifully finished furniture. 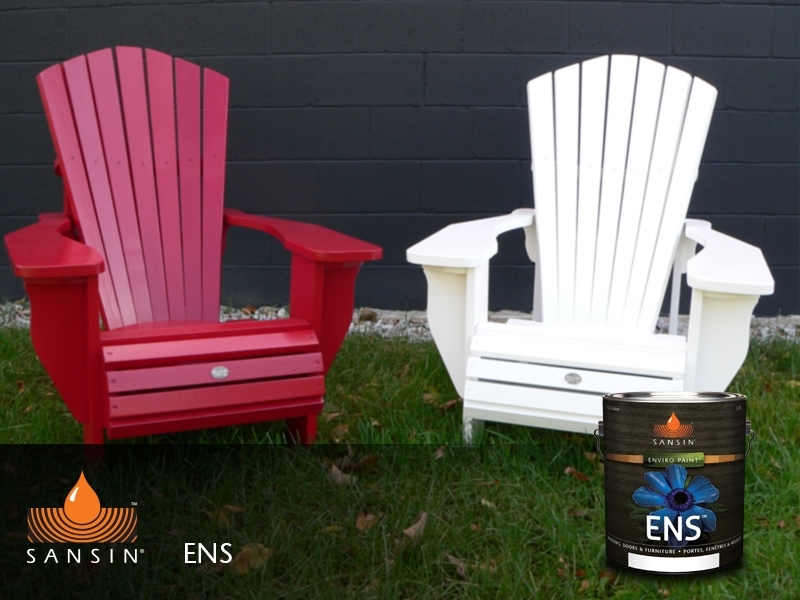 Sansin offers a range of choices: Classic is a deep-penetrating finish that delivers a superior oil-like finish for teak furniture; SDF is a beautiful one-coat penetrating finish that is easy to apply and maintain; and ENS is a two-coat barrier finish that offers exceptional UV protection. As penetrating formulas, both SDF and Classic deliver a rich, low-lustre finish. 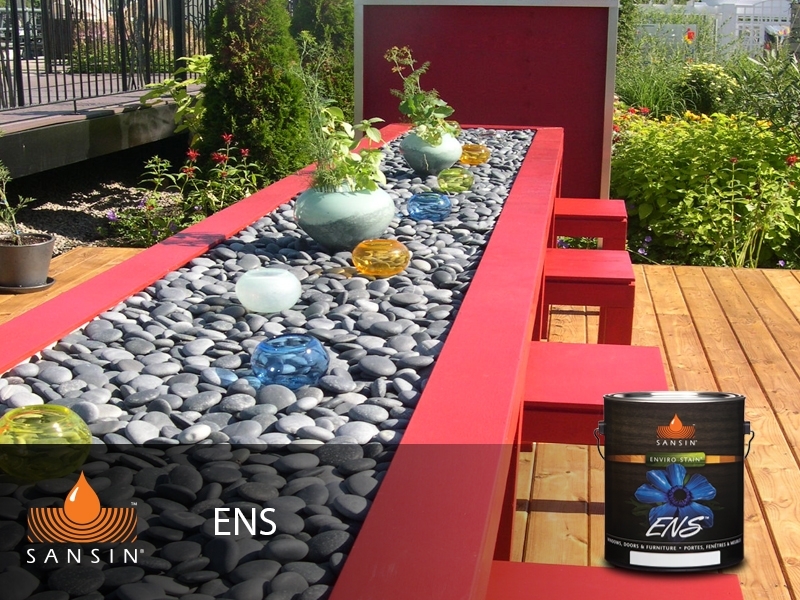 ENS may be used as a top-coat for either system and delivers a rich, lustrous finish that amplifies or hides the grain of your wood depending on whether you prefer a transparent or solid-hide system. Available in almost a hundred stunning colors. Get inspired by browsing the Photo Gallery below for examples of beautiful furniture projects featuring Sansin Enviro Stains – or explore colors to get ideas for your own project! Specially engineered for log and timber-frame structures. Penetrating 3-coat formula designed to protect the natural beauty of timbers, logs and siding. Superior breathability, performance, and color. Easily maintained. The final step of the 3-part Classic application system. Use over existing Classic finishes as a durable maintenance coat for additional water repellence and beading. Final finish and maintenance coat for Classic. The final step of the 3-part Classic application system, for enhanced performance and long-lasting UV protection. Use over existing Classic finishes as a durable maintenance coat. Resolution: High-performance penetrating finish for dry wood. The primer step in the Resolution system – a penetrating high solids finish that fills wood grain with UV and moisture protection. Resolution: Crystal clear ultra-tough finishing system. The 2nd step in the Resolution finishing system. Resolution II is a crystal-clear low-VOC finish available in gloss or satin formulas.